Are you starting to notice that you seem to have recurring ankle stiffness and discomfort? If so, what you may be dealing with is chronic lateral ankle pain. When you want to learn more about chronic lateral ankle pain treatment and surgery in Marysville, you can set aside to see our team of professionals at Mill Creek Foot and Ankle Clinic. Any sort of pain or stiffness that can build up and then linger in your ankle can be from repetitive irritation that takes place with intense exercise, sports, work activities, or from any sort of prior injury that you had to your ankle or foot. In some patients, the pain can range from mild to moderate, with occasional sharp pains. If you are dealing with something similar, it is important that you get the relief that you are looking for. Our team of professionals at Mill Creek Foot and Ankle Clinic have been working with patients just like you who are in need of answers regarding their chronic ankle pain. You could have problems with a buildup of tissue that has become inflamed or there is some other sort of injury to the area that is causing discomfort. No matter what the cause may be, you can count on us to work with you to come up with a great solution. Call Mill Creek Foot and Ankle Clinic at (425)482-6663 for exercises and options in chronic lateral ankle pain treatment and surgery in Marysville. 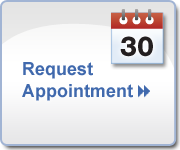 We will be happy to set up a time for you to come in for an initial consultation, where we will go over your symptoms and then formulate a plan for healing once you have a full examination of your foot and ankle area.